VINSON, Carl, (grand–uncle of Samuel Augustus Nunn), a Representative from Georgia; born in Milledgeville, Baldwin County, Ga., November 18, 1883; attended the Georgia Military College at Milledgeville, and was graduated from Mercer University Law School, Macon, Ga., in 1902; was admitted to the bar in 1902 and commenced practice in Milledgeville; prosecuting attorney of Baldwin County, Ga., 1906-1909; member of the State house of representatives 1909-1912, serving as speaker pro tempore in 1911 and 1912; appointed judge of the county court of Baldwin County and served from October 3, 1912, to November 2, 1914, when he resigned, having been elected to Congress; elected as a Democrat to the Sixty-third Congress to fill the vacancy caused by the resignation of Thomas W. Hardwick; reelected to the Sixty-fourth and to the twenty-four succeeding Congresses and served from November 3, 1914, to January 3, 1965); chairman, Committee on Naval Affairs (Seventy-second through Seventy-ninth Congresses), Committee on Armed Services (Eighty-first, Eighty-second and Eighty-fourth through Eighty-eighth Congresses); was not a candidate for renomination to the Eighty-ninth Congress; resided in Milledgeville, Ga., where he died June 1, 1981; interment in Memory Hill Cemetery. Microfilm: In the Fannie Lee Leverette Scrapbooks, 1900-1948, 4 scrapbooks on 1 microfilm reel. Correspondents include Carl Vinson. Papers: In the John A. Sibley Correspondence, ca. 1912-1989, 146.25 linear feet. Correspondents include Carl Vinson. Papers: In President Franklin D. Roosevelt's Papers. Correspondence with Carl Vinson is in President Roosevelt's personal files, as well as in his vertical files. Papers: In the U. Erwin Sibley Collection, 1919-1977, approximately 40 feet. The collections contains extensive correspondence concerning personal, business, congressional, and estate matters, photographs, memorabilia, and a file for the Sixth Congressional District of Georgia, of which Mr. Sibley was secretary. Restricted. Papers: In File II Names. The file is primarily incoming correspondence to Carl Vinson, Governor of Georgia. A finding aid is available in the repository. Oral History: In the Stephen Ailes Interview, 1968, 20 pages. Persons represented include Carl Vinson. Oral History: In the Carl B. Albert Interview, 1965, 37 pages. Persons represented include Carl Vinson. Oral History: In the Andrew Biemiller Interview, 1979, 69 pages. Persons represented include Carl Vinson. Oral History: In the Harold Brown Interview, 1964, 44 pages. Persons represented include Carl Vinson. Oral History: In the J. William Fulbright Interview, 1964, 106 pages. Persons represented include Carl Vinson. Papers: In the Lawrence F. O'Brien White House Congressional Liaison Office Files, 1961-1963, 16.5 cubic feet. Persons represented include Carl Vinson. Papers: In the Howard C. Petersen Papers, 1961-1963, 28.22 cubic feet. Persons represented include Carl Vinson. Papers: In the Special Correspondence, ca. 1954-1963, 2.9 linear feet. Persons represented include Carl Vinson. Papers: In the Ernest King Papers. Correspondents include Carl Vinson. Papers: In the John Archer Lejeune papers, ca. 1815-1950, 20 containers. Correspondents include Carl Vinson. Oral History: 1970, 13 pages. An interview conducted of Carl Vinson by Frank Deaver on May 24, 1970. A description of the interview is available in the library. Papers: In the James M. Beck Papers, ca. 1787-1936, 14.68 linear feet. Persons represented include Carl Vinson. Papers: In the Ferdinand Eberstadt Papers, ca.1868-1970, 113.52 linear feet. Persons represented include Carl Vinson. Papers: In the James V. Forrestal Papers, ca. 1907-1958, 85.1 linear feet. Persons represented include Carl Vinson. Papers: In the David Lawrence Papers, ca. 1901-1975, 163 cubic feet. Persons represented include Carl Vinson. Papers: In the Thomas Hardwick Papers, 1920s-1940s, 3.75 linear feet. Correspondents include Carl Vinson. Papers: In the Arthur J. Lacy Papers, 1891-1975, 10 linear feet and 1 volume.. Correspondents include Carl Vinson. Papers: In the Southwestern Oklahoma Survival Association. Records, 1957-1959, 6 feet Persons represented include Carl Vinson. Papers: In the Sam Rayburn Papers, ca. 1831-2007, approximately 119 feet. Persons represented include Carl Vinson. Cook, James F. Carl Vinson: Patriarch of the Armed Forces. Macon, Ga.: Mercer University Press, 2004. Enders, Calvin W. "The Vinson Navy." Ph.D. diss., Michigan State University, 1970. Reed, Ralph. "'Fighting the Devil with Fire': Carl Vinson's Victory over Tom Watson in the 1918 Tenth District Primary." Georgia Historical Quarterly 67 (Winter 1983): 451-79. Ries, John C. "Congressman Vinson and the 'Deputy' to the JCS Chairman." Military Affairs 30 (Spring 1966): 16-24. United States. 88th Congress, 2d session, 1964. House. Tributes in the House of Representatives to Carl Vinson, October 2, 1964, Eighty-eighth Congress, second session. [Washington, N.p., 1965]. Vinson, Carl. Carl Vinson: A Legacy of Public Service. Athens: Carl Vinson Institute of Government, University of Georgia, 2002. 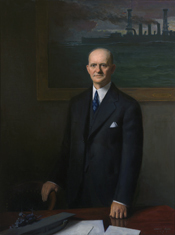 Walter, John C. "Congressman Carl Vinson and Franklin D. Roosevelt: Naval Preparedness and the Coming of World War II, 1932-1940." Georgia Historical Quarterly 64 (Fall 1980): 294-305. West, Michael Allen. "Laying the Legislative Foundation: The House Naval Affairs Committee and the Construction of the Treaty Navy, 1926-1934." Ph.D. diss., Ohio State University, 1980.